BERLIN, January 20. /TASS/. Germany has no legal ground to meddle with the construction of the Nord Stream-2 gas pipeline, Germany’s Federal Minister for Economic Affairs Peter Altmaier said in an interview with the Handelsblatt newspaper on Sunday. He said it is wrong to make "a whipping boy" out of Nord Stream-2. "Germany is a law-ruled state where private investments, as in the case of Nord Stream-2, are made in line with legal criteria. For instance, there are all necessary permissions from various agencies of various countries, including Germany, to build the pipeline. Moreover, serious progress has been made in the construction works, with kilometers of pipes laid in the sea. The federal government will not interfere into such process as it has no legal grounds for that," he said. The German government has repeatedly said that Nord Stream-2 is an economic project with a political aspect. Berlin insist gas transit be ensured via Ukraine after Nord Stream-2 is commissioned. "I am sure a compromise will be found," Altmaier said. The new 1,200 kilometer pipeline, basically following the same route as Nord Stream, will traverse economic zones and territorial water of five countries, namely Russia, Finland, Sweden, Denmark, and Germany. The pipeline’s capacity will be 55 billion cubic meters of gas a year and it is planned to be commissioned in late 2019. 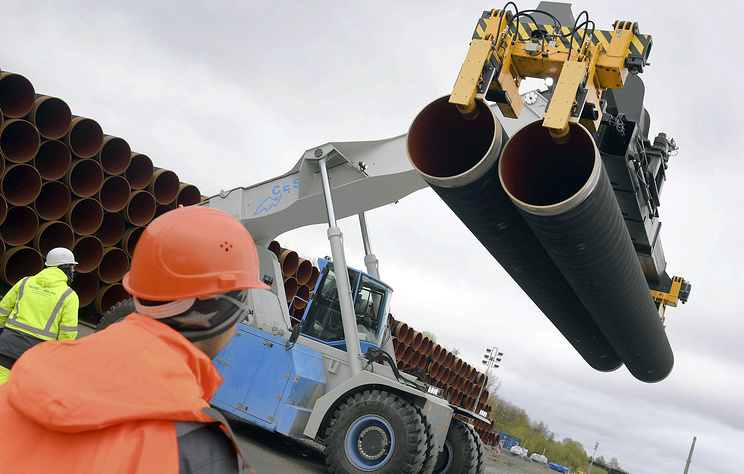 Nord Stream 2 AG is the operator of the pipeline construction. Its sole stakeholder is Russia’s Gazprom. Gazprom’s European project partners are Germany’s Uniper and Wintershall, Austria’s OMV, France’s Engie, and Royal Dutch Shell (the UK and the Netherlands) that are to finance 50% of the project, which is estimated at 9.5 billion euro.